On the 13th (Sun), explore the fascinating underground world of Waitomo Glowworm Caves, identify plant and animal life at Otorohanga Kiwi House & Native Bird Park, then Head underground at Footwhistle Glowworm Cave, and finally see the interesting displays at The Gallagher Meads Brothers Exhibition. To see ratings, traveler tips, and other tourist information, go to the Waitomo Caves visit planner . Singapore, Singapore to Waitomo Caves is an approximately 17.5-hour combination of flight and bus. Due to the time zone difference, you'll lose 4 hours traveling from Singapore to Waitomo Caves. Finish up your sightseeing early on the 13th (Sun) so you can go by car to Rotorua. Kick off your visit on the 14th (Mon): take in the natural beauty of Orakei Korako Cave & Thermal Park, witness a stunning natural landmark at Wai-O-Tapu Thermal Wonderland, then get impressive views of Waimangu Volcanic Valley, and finally identify plant and animal life at Redwoods Treewalk. On the 15th (Tue), you'll have a packed day of sightseeing: look for all kinds of wild species at Paradise Valley Springs Wildlife Park, do a tasting at Volcanic Hills Winery, and then relax and float downstream with a rafting and tubing tour. To see more things to do, reviews, where to stay, and other tourist information, read Rotorua online trip itinerary planner . Traveling by car from Waitomo Caves to Rotorua takes 2 hours. Alternatively, you can take a bus. In October, daytime highs in Rotorua are 21°C, while nighttime lows are 13°C. Finish your sightseeing early on the 15th (Tue) to allow enough time to travel to Wellington. Kick off your visit on the 16th (Wed): stroll through Lyall Bay, then get engrossed in the history at The Great War Exhibition, and then take a stroll through Cuba Street District. Find out how to plan Wellington trip without stress by asking Inspirock to help create an itinerary. Fly from Rotorua to Wellington in 3 hours. Alternatively, you can do a combination of bus and flight; or drive. In October, daytime highs in Wellington are 19°C, while nighttime lows are 11°C. Cap off your sightseeing on the 16th (Wed) early enough to travel to Hokitika. Hokitika is a township in the West Coast region of New Zealand's South Island, 40km south of Greymouth, and close to the mouth of the Hokitika River. 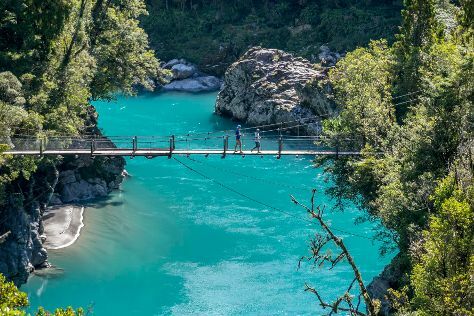 On the 17th (Thu), stop by Garth Wilson Jade, then enjoy the sand and surf at Hokitika Beach, then look for all kinds of wild species at Westcoast Treetop Walk & Cafe, and finally look for all kinds of wild species at Hokitika Gorge Walk. To see reviews, where to stay, maps, and other tourist information, use the Hokitika trip planner. Fly from Wellington to Hokitika in 4 hours. Alternatively, you can do a combination of ferry and bus. 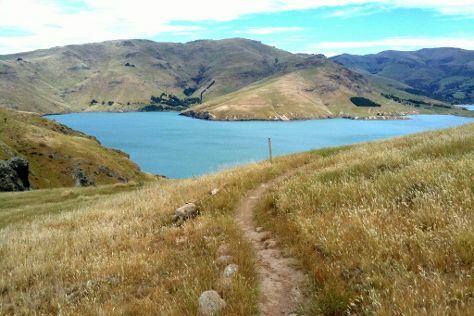 Finish up your sightseeing early on the 17th (Thu) so you can go by car to Akaroa. The French heritage and colonial architecture of Akaroa has broad appeal to anthropologists, historians, architects--and just about anyone with an eye for beautiful, historical buildings and a palate for fine dining. On the 18th (Fri), take in the spiritual surroundings of Catholic St. Patrick's Akaroa, take an in-depth tour of Akaroa Museum, stop by Fire & Ice - Gemstone Jewellery Specialists, then do a tasting at Meniscus Wines, and finally see majestic marine mammals with a dolphin and whale watching tour. To see other places to visit, where to stay, and more tourist information, use the Akaroa trip itinerary website . You can drive from Hokitika to Akaroa in 4 hours. Other options are to do a combination of flight and bus; or take a bus. In October in Akaroa, expect temperatures between 20°C during the day and 6°C at night. Finish your sightseeing early on the 18th (Fri) so you can drive to Christchurch. Start off your visit on the 19th (Sat): pause for some photo ops at Chalice Sculpture, then take a stroll through Port Hills, and then cast your line with a fishing tour. To find ratings, where to stay, more things to do, and other tourist information, read our Christchurch trip itinerary maker website . Getting from Akaroa to Christchurch by car takes about 1.5 hours. Other options: take a bus. In October, daily temperatures in Christchurch can reach 20°C, while at night they dip to 6°C. Finish up your sightseeing early on the 19th (Sat) so you can travel to Queenstown. Start off your visit on the 20th (Sun): identify plant and animal life at Kiwi Birdlife Park, then view the masterpieces at Silver Fern Gallery, then play a few rounds at Jacks Point Golf Course Queenstown, and finally relax and rejuvenate at some of the top local wellness centers. Keep things going the next day: contemplate the long history of Arrowtown Chinese Settlement, do a tasting at Mt Rosa Wines, do a tasting at Mt Difficulty Wines Cellar Door, then do a tasting at Peregrine Wines, and finally look for gifts at The Remarkable Sweetshop - Queenstown. Before you visit Queenstown, use our trip planner to discover what you can do and see there. You can fly from Christchurch to Queenstown in 3 hours. Alternatively, you can drive; or take a bus. Wrap up your sightseeing by early afternoon on the 22nd (Tue) to allow time for travel back home.